“Death, taxes and childbirth! There’s never any convenient time for any of them,” lamented Gone with the Windauthor Margaret Mitchell. Uncle Sam’s arm is extended, palm up, and he’s looking directly at you. The average American household pays more than $5,700 in federal income taxes each year. In fact, the nation doesn’t earn enough money to pay its total tax bill for the year until April. While federal taxes are the same for everyone nationwide based on income brackets, state income tax rates vary from state to state. Six states don’t even charge any income tax at all. Of the 44 states that do (and Washington, D.C.), the rate varies widely. In fact, the state with the highest marginal income tax rate has a rate more than five times greater than the state with the lowest rate. The Tax Foundation published a report comparing state individual income tax rates and brackets for 2017. These are the states where you’ll pay the most. Arkansas ranks as the No. 15 highest state for income taxes. If you make more than $35,000 per year, you’ll pay 6.9% in state income taxes. Unlike federal income taxes, Arkansas’ income tax system does not provide expanded income tax brackets to couples filing jointly. The average Arkansas family pays $2,343 in state income taxes each year. Arkansas is bordered by states with lower state income tax rates – including Texas, which does not collect state income taxes. When it comes to marginal highest income tax bracket rates, higher than Arkansas is the state of Connecticut, which collects at a rate of 6.99%. The state’s income tax does at least allow for couples filing jointly to pay a lower overall rate on their income. Wider tax brackets are provided for joint filers. The average Connecticut family pays $800 in state income taxes per year. Connecticut is also known for having the fourth highest property taxes nationwide. The next of the highest income taxing states is South Carolina, which will tax you at a 7% rate if you make more than $14,650 per year. South Carolina does not provide couples filing jointly with expanded income tax brackets. The state’s six tax brackets are adjusted for inflation each year, which often results in a small tax increase. The average South Carolina family pays $1,183 in state income taxes each year. The state’s neighbor to the north, North Carolina, pays a significantly lower rate of 5.499% in the highest bracket. If you live in Maine and earn more than $50,000 a year, your state income tax rate is 7.15%. Couples filing jointly are given a lower overall rate with wider tax brackets for joint filers. The average family living in Maine pays $1,279 per year in state income taxes. Those living in bordering New Hampshire enjoy a lower state income tax of 5%. Incidentally, speaking of taxes, Maine is the largest producer of blueberries in the world, and those who grow, buy, sell, handle, or process them pay a rate of $0.0015 per pound. Idaho comes in as the state with the next highest marginal income tax rate – which is 7.4% if you make more than $10,905 per year. Couples filing jointly are allowed a lower overall rate with wider tax brackets. Unlike many other states, Idaho has no standard deduction, personal exemption, or dependent deduction. Bordering states Washington and Wyoming do not collect state income taxes. The average Idaho family pays $1,325 in state income taxes. Those living in the highest tax bracket in America’s Dairyland pay state income taxes at a rate of 7.65%. There are four tax brackets in all, and couples filing jointly receive a lower overall rate with wider tax brackets. Wisconsin is in good company, as two of its neighbors to the west charge an even higher state income tax rate. Illinois, directly to its south, charges a flat rate almost three points lower, however. The average Wisconsin family pays $1,661 in state income taxes. The state is also known for having high real estate taxes. Hawaii has nine state income brackets, and those in the top bracket, who earn more than $48,000 a year, are taxed at a rate of 8.25%. The state doubles the bracket widths for couples filing jointly. Unlike many states, Hawaii has no standard or dependent deductions, and no personal exemptions. The average Hawaii family pays $2,264 in state income taxes. Interestingly, Hawaii tax filers can get a deduction of up to $3,000 in expenses for each tree on their property that is big, old, rare, or a combination of these. This is a law under the Exception Tree law. The highest bracket in New York is taxed at an 8.82% rate – but that’s only if you make $1,077,550 or more. The next bracket down for single filers starts at $215,000 with a rate of 6.85%. New York has eight brackets in all. The brackets are wider for couples filing jointly. The average family in New York pays $1,526 in state income taxes. Residents of Washington, D.C. who are in the highest tax bracket will pay a rate of 8.95% for income tax. There are six tax brackets in all. Unlike in many states, D.C. couples filing jointly are taxed at the same rate in the same income brackets as single filers. The average family in D.C. pays $2,158 in income taxes each year. D.C.’s Office of Tax and Revenue offers all residents free tax preparation services. Those in Vermont’s highest income tax bracket are taxed at an 8.95% rate. This is for those earning more than $416,700. With the five total brackets, if you earn less than $37,950, for instance, you’ll be taxed a lower rate of 6.8%. Couples filing jointly pay a lower overall rate with wider tax brackets. Vermont has no standard or dependent deduction, and it has no personal exemption. The average Vermont family pays $838 in state income taxes. Vermont’s eastern neighbor, New Hampshire, has a highest marginal income tax bracket rate of 5%, which is almost four percentage points lower than Vermont’s. New Jersey residents in the highest tax bracket earn $500,000 or more and are taxed at an 8.97% rate. If you make less than that but more than $75,000, your rate falls to 6.37%. While the state has six tax brackets, those who earn less than $10,000 do not owe state taxes. One special tax perk the state employs is residents can deduct as much as 100% of their property tax burden from their taxable income, up to $10,000. The average New Jersey family pays $718 in state income taxes. .
Iowa has nine tax brackets. Those earning $70,785 or more are in the top bracket and are taxed at an 8.98% rate. All single filers earning more than $9,000 per year must file a state return. Couples filing jointly are taxed at the same rate as single filers, in the same dollar brackets. Iowa allows some local jurisdictions, such as school districts, to charge a local surtax on top of the state income tax. Iowa allows taxpayers an extra 15 days after the April 15 deadline to submit their state tax return. The average Iowa family pays $2,554 in state income taxes. Those living in Minnesota’s highest bracket pay a 9.85% income tax rate. Nearby North Dakota has a much lower, 2.9% rate, and South Dakota has no state income tax at all. Minnesota is also known for its high sales tax(food and clothing are exempt), high property taxes, and a high corporate income tax. The average Minnesota family pays $1,263 in state income taxes. 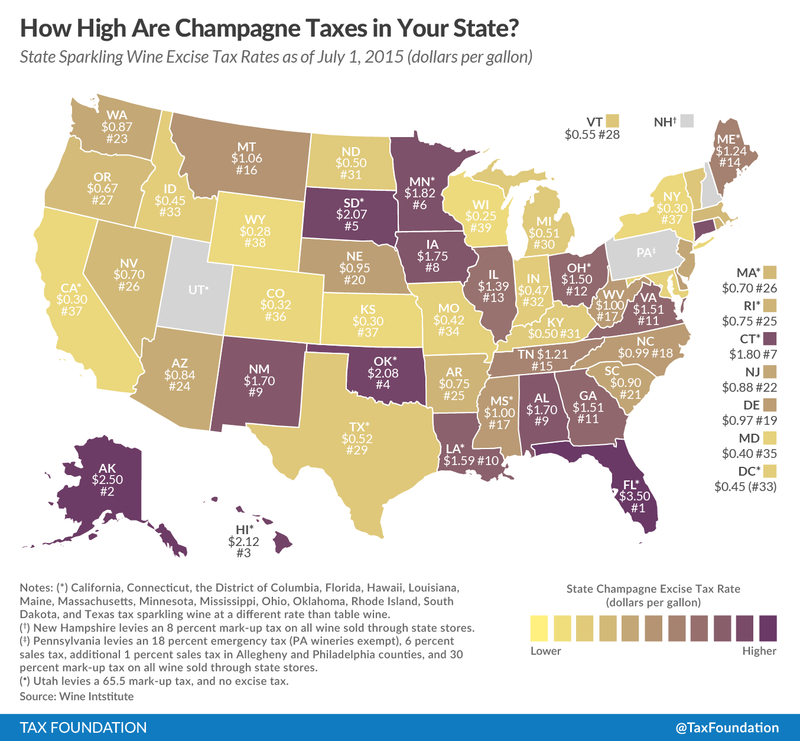 Oregon taxes its highest bracket at a 9.9% rate. Although this includes those earning $125,000 or more, the next bracket down starts at just $8,450 with a rate of 9%. The states neighbors to the north and south, Washington and Nevada, do not charge any state income tax at all. Oregon’s high income taxes are partially due to the fact that the state has no sales tax. Oregon gives its taxpayers a reprieve, however, in that they can deduct up to $6,100 of federal income tax from their state taxable income. The average Oregon family pays $3,651 per year in state income taxes. California is the state with the highest marginal income tax bracket rate. Residents in that top bracket earn over $1,000,000 and are taxed at a 13.3% rate. By way of comparison, those in the middle of the 10 total brackets earn at least $41,629 and are taxed at a 6% rate. Couples filing jointly will pay a lower overall rate with wider income brackets. While the state does not collect any inheritance or estate tax, California will start taxing marijuana purchases at a rate of 15% starting in January 2018. The average California family pays $847 per year in state income taxes.